Fiction University: Multiple POVs? Yes, Please! It took me a long time to find the point of view style I worked best in, so I feel for writers having a similar struggle. Luckily, there's hope for the POV-challenged. Karen Amanda Hooper takes the podium today to share her journey on finding the right POV for her, and offers a few tips on how you can find yours. Karen writes romantic young adult paranormal, fantasy, and sci-fi. 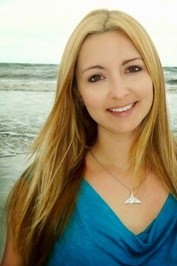 She is the author of TANGLED TIDES , THE KINDRILY series, and VIRTUAL ARCANA. She is currently sunning and splashing around Florida with her two beloved dogs. Some of her addictions include coffee, chocolate, and complicated happily-ever-afters. I’ve seen and heard writers ask which method is best. Which do readers prefer? Are first person present books still popular or are they going out of style? I’ve always believed (and still do) that there is no overall best way, only what’s best for each unique story and its author. That kind of general, feel-good advice isn’t very helpful when you’re unsure and starting a new manuscript, but it’s the truth. Think about the books you enjoy reading. (And if you’re an aspiring author, for the love of St. Patrick, you better enjoy reading!) Which style do you gravitate toward? Are the majority of your all-time favorites in first or third, past or present? Seriously, go look at your bookshelves and figure it out. Because usually, the books you love to read are the kind of books you will write best. I wrote my very first manuscript in first person past. It was one point of view until halfway through the manuscript, and then I switched to a different narrator. He told the story for about fifty pages, and then I switched back to the original narrator. It was a hot mess. Many revisions, edits, and years later, that novel is Grasping at Eternity, and it’s told by two, consistently alternating narrators in first person past tense. The second book in the series is told the same way. So is the third. Why? Because that’s what worked best for that series, story line, and characters. Now, I must get back to working on the third novel in my Sea Monster Memoirs series. Books which are told from THREE alternating first person past tense narrators. Yup, three different characters tell the story. And I swap out one of them in each of the three books. Some people say you shouldn’t do that, but I did, because I can write however I want. And so can you. Want to read a novel written in alternating female/male POVs? GRASPING AT ETERNITY, the first book in The Kindrily series, is currently free on most ebook retailers. Awesome post! I tend to write in third person past tense, although my most successful novel was written in the first person... hmmm, perhaps I should try that again! All the best with your writing, Karen! Suzy, I admire your versatility. So far I have yet to feel good about my third person writing, but I hope to write a book in that style someday. All the best with your writing too! I love to write in first person - past tense, but my current WIP is written in third person - past tense with two POV characters. This was a real struggle to switch. Now I worry that when I go back to first person, it will feel awkward. I love that you say you can write however you want despite the fact some people say not. Always a rebel at heart! This post came at a good time, as I was just debating this morning whether or not I wanted to do multiple POVs. I think I will. Thanks for an awesome post!